Two weeks ago we outlined the finest places around the U.S. for locum tenens doctors to not only visit but places where they can hone their photography skills, too. This week we’re introducing the international edition of our winter bucket list. Much like the U.S. edition you’ll see places that range from cityscape to countryside. In our list you’ll read about horizons where gleaming granite peaks and cascading waterfalls are far from lacking; where burning giants dominate the night sky over leagues of tussock hills; where neon lights heat up the nightlife all while existing underneath an abundance of coastal mountains; and lastly, where a city is surrounded by a fiery red desert with unforgettable sights and adventures in every direction. Yeah, you’re going to want to bring your camera. At this point it’s a given that New Zealand has immaculate countryside. And Fiordland National Park – which includes Milford, Dusky and Doubtful Sounds – is about as gorgeous as it gets. Gargantuan glaciers carved this land. There’s a personality here, an energy that is palpable in the coastal mountain air. Air so simultaneously crisp and humid you’ll wonder if you’re in the Rockies or on some beach in Hawaii. Still, you’re going to want to bring a jacket because it can get a tad chilly. Maybe pack some protective/waterproof gear for your camera while you’re at it. Waterfall spray can get a little intense if you’re taking the cruise ship route. Tours can last anywhere from a couple hours to a whole day. If you really want some epic captures of this diverse landscape then take the Milford Track (this one's by foot). 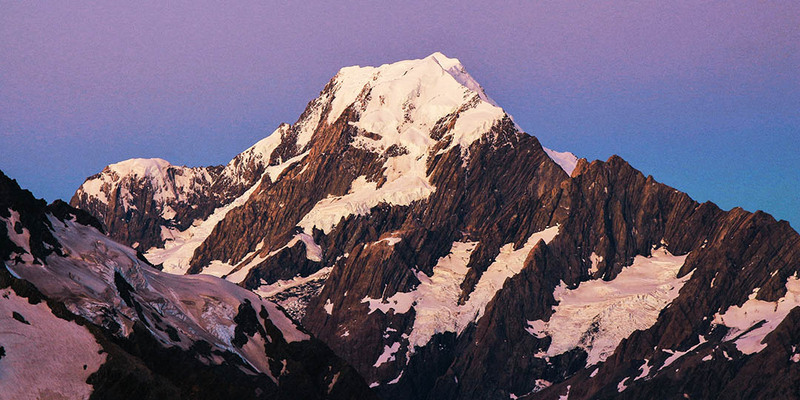 It’s touted as one of New Zealand’s most famous hikes. Have a few days or more to spare? Complete the 33-mile, four-day trip. That way you can really capture awe-inspiring scenery like Sutherland Falls. Learn more about how to book a walk with a tour guide or how to venture out on your own. To be able to capture a dynamic picture of a waterfall amidst mountain peaks takes a certain artistry for sure. It’s an entirely different kind of finesse to be able to capture the night sky in all its glory. If you’re new to astrophotography here’s a crash course that’s worth reading. But we suspect with some basic know-how you’ll be able to shoot the clear skies in the Aoraki Mackenzie International Dark Reserve, no problem. A good approach is to create an engaging composition in your long exposure, a bit of tussock land and a large amount of night sky for example. Just do an image search on Google and you’ll see the possibilities that exist here. Aside from simply freeing the skies of all pollution the reserve is also dedicated to protecting the flora and fauna in the area. Take the Big Sky Stargazing tour of Mount John Observatory for an in-depth look of their mission as well as an enlightening examination of the night sky. There’s a street in Vancouver where neon lights used to shine in plenitude far and wide. It’s called Granville Street; you can’t miss it. Though over the past couple decades the flashing signs have been reduced. There is a new interest as of late to bring back what was once thought to be the luminous soul of the city. (Pack your street lens – 50mm or less – for this stretch of town). This resurgence exists in preserving neon lights even if the business is long gone. If you want to see some of the signs that have fallen prey to neon bans over the years you can find those at the Vancouver Museum. They hold a collection of vintage neons there like the Smiling Buddha Cabaret sign. What makes this radiant portion of Vancouver truly incredible and unique is that the North Shore Mountains tower not far off. It’s not all glitz and glamour like some neon cities. When we think neon we think Las Vegas where casinos stand among desert scenery or we picture massive cities such as Tokyo where there’s no shortage of skyscrapers. Granville Street is home to a glowing nightlife, sure, but Vancouver is still a mountain city at heart. Last but not least is Alice Springs: the gateway to Australia’s outback, its Red Centre. Not the only gateway of course but definitely one of the most visited. That’s because Uluru is nearby: a sacred sandstone formation protected by the Anangu (an Aboriginal people). Visit even more striking sights, too, like Kings Canyon, Simpson Desert and the Devils Marbles. The last one is a can’t miss. To the Warmangu Aboriginal people these large granite boulders are sacred. When you see them in person you’ll understand why. Do you really want to make your trip to Alice Springs a success? Book a tour by camelback to watch the sun rise and/or set where Uluru serves as the backdrop. Quite spectacular. Yeah, you can probably guess by now that Alice Springs is a remarkable place to capture very distinct landscapes. You can even stay within the city limits and discover Aboriginal art galleries or learn more about the eclectic history of the town itself.